The Blue Trees is an environmental art installation that takes an urban landscape with which you are familiar and changes it for a brief period of time into something surreal, unfamiliar, even uncomfortable. 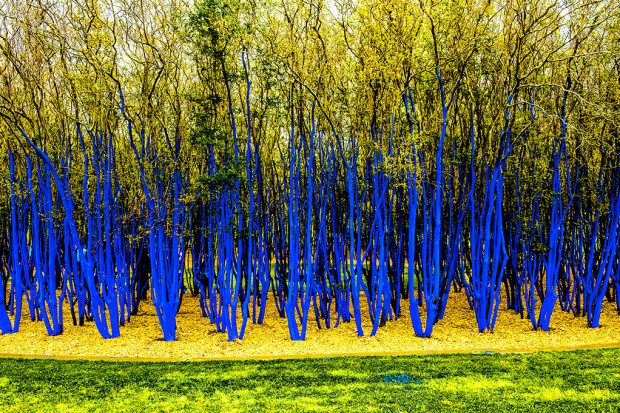 The Blue Trees is part of a wider question that I ask - Can Art Save The World? Maybe not on its own, but it can generate thinking and discussion throughout the global community. I have always known that art is and has always has been an extended part of nature and that art can effect social change. 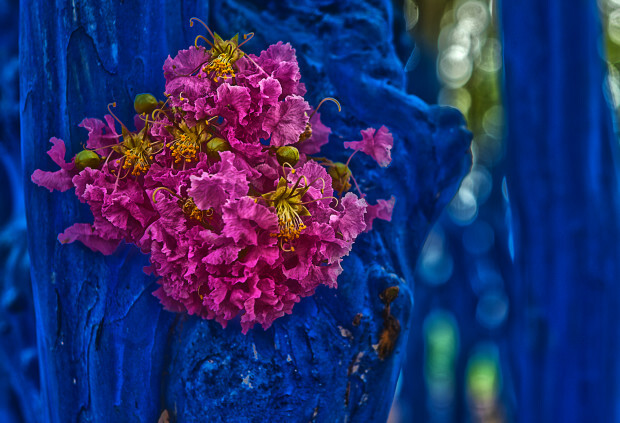 The Blue Trees is a community engagement public art installation. With the help of more than 200 volunteers - including the Mayor of Houston - I coloured tree trunks and branches with a biologically-safe colourant. Leaves are not coloured. The Houston Arts Alliance provided the on-ground logistical network, co-ordinated volunteers and liaised with media.